Our first house was brown. The first house we ever bought was in Strathroy, Ontario. I had been serving St. Andrew’s for a few years, and we planned to stay for a few more. Buying a house sounded like a great idea, except for the student loans we were still paying off and a complete lack of a savings. Then we were approached rather suddenly by people who were local, but not church attenders. For reasons that remain mysterious, they wanted to help the local Presbyterian minister by selling us their home. They would help to make it financially possible. It was an incredible gift that we are still tremendously grateful for. The only hitch was that I hated the house. Now don’t get me wrong; it was a good house with a new roof and new windows. It was tidy and well maintained to the extreme. It had enough room for our family, a nice backyard and was in the perfect location just a short walk from the church. 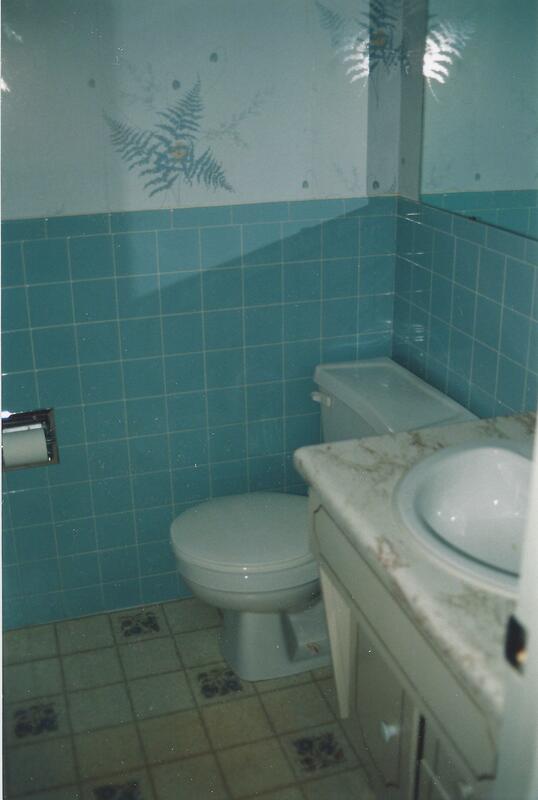 Still, it had old brown fuzzy carpet, a thirty year old kitchen and pale blue fixtures in the bathroom and we didn’t have a penny for renovations or updates. I was far more picky about home decor back then. I was thankful but it was thankful tinged with a bit of “eew”. 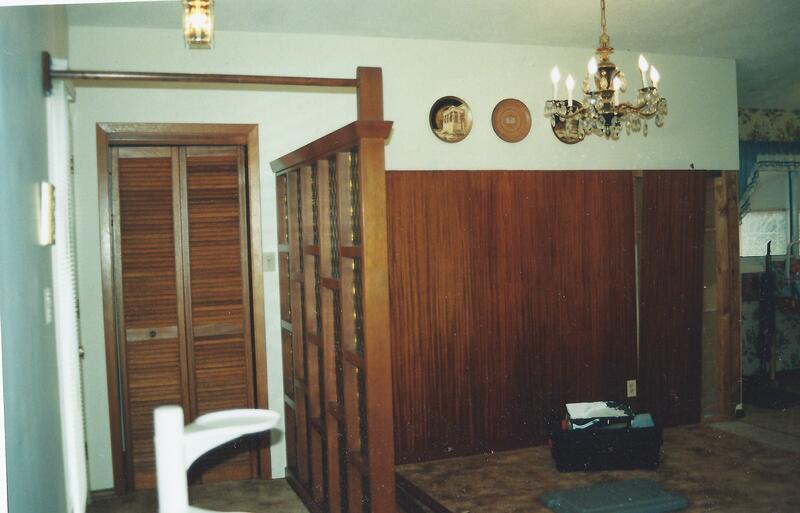 One of the things I did like about the house, however, was the light rack in the basement. 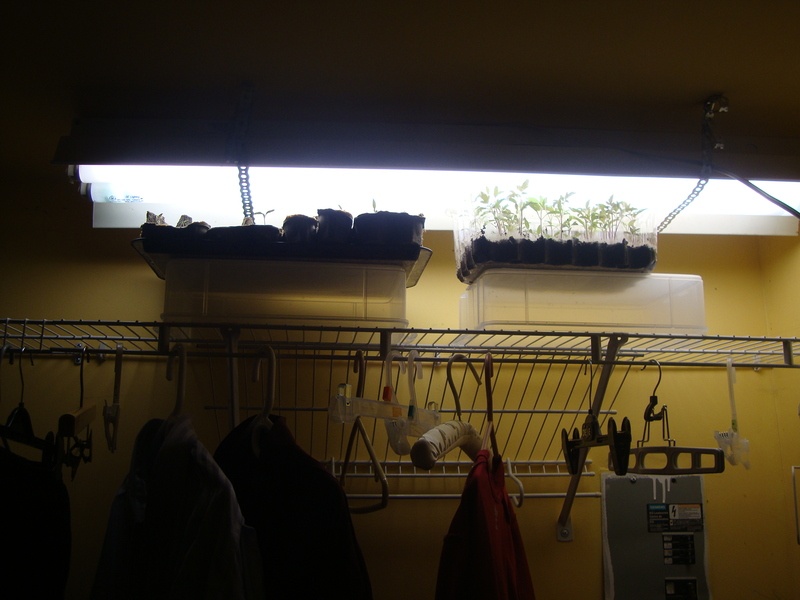 The previous owner had been a plant lover, and had installed a tidy setup downstairs with grow lights suspended on adjustable chains over two shelves. I think he used it to grow African violets, but I used it to try starting seeds for the very first time. It worked brilliantly. I don’t know why it didn’t get set up at our new house after the move to Oakville a few years later. Maybe it was because with three children and a fourth on the way those kinds of details tended to be overlooked. I missed that beautiful grow light setup. My wonderful and attentive husband, however, has now managed to put up a shelf, and a light fixture over it, in the laundry room. It isn’t perfect–the temperature swings wildly from below freezing to unbearably hot depending on the weather and the laundy–but I am so glad he went to all that trouble. 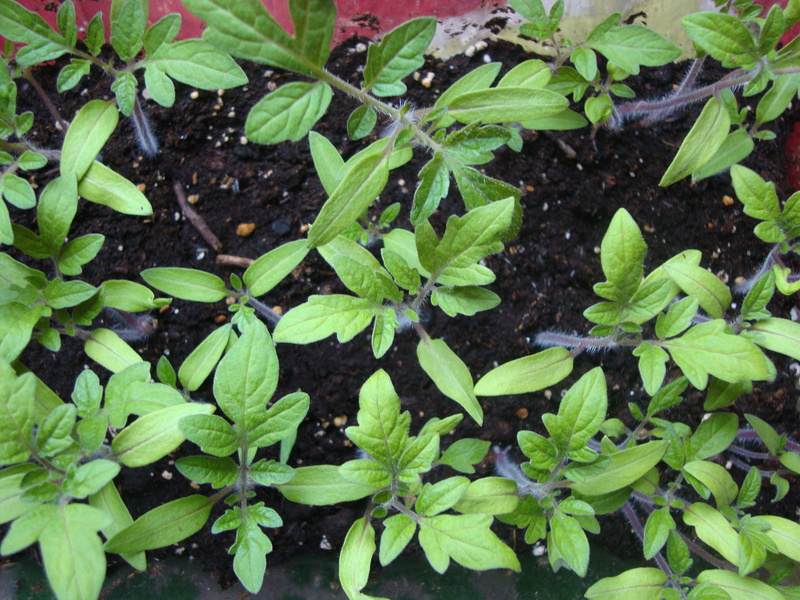 I have now been able to move tomatoes from the window sill to the grow-light shelf. In a matter of days I have seen their growth suddenly leap forward! They are definitely happier there, with far more light than the meagre spring offerings they were getting in my kitchen. It’s funny thinking about that house in Strathroy now. I barely ever think of the ugly kitchen cupboards or the crazy wallpaper. Mostly I remember Easter egg hunts, watching birds from the big front window and how much fun the kids and I had in our first vegetable garden. And the fabulous grow lights. This entry was posted in Uncategorized and tagged gardening, memories, seeds, Strathroy. Bookmark the permalink.